Nothing beats a keto berry smoothie when you are in the mood for something fruity, cold and smooth. This quick and easy keto blackberry almond coconut smoothie is one of my favorite snacks or mini-meals when I need something quick. The smoothie recipe is super simple, sugar free and fits in perfectly with any keto diet. It makes a great quick keto breakfast or lunch. The only ingredient you’ll need to be careful about are the blackberries. A 1/2 cup of blackberries has 7 grams of carbs so if you are on a very strict low carb diet, 1/4 cup is a good amount to use. it is just enough to give you plenty of flavor and a subtle pop of sweetness. Put everything in a blender (I use a Vitamix) and mix on low for about 2 minutes and then on high for about 30 seconds or until it reaches your desired consistency. I will occasionally throw in a cup of baby spinach to make the smoothie green. This provides some extra vitamins A, C and E, potassium, zinc and fiber. Anti-inflammatory, gluten free, and always keto-friendly. Enjoy! Keto Holiday Desserts Delivered to Your Door! We connect high-quality keto-friendly brands and products with millions of keto/low carb enthusiasts. 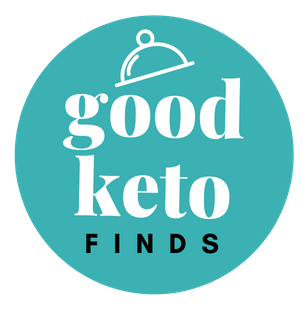 Good Keto Finds is a subsidiary of Holley Creative.